Symptoms are dependent on the severity of your hamstring injury. 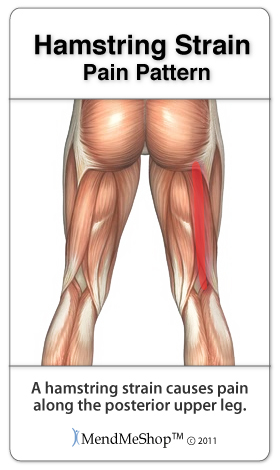 With a mild injury you may only notice tightness in the hamstring muscles, however, a more serious injury can cause weakness and severe pain in the posterior thigh. A sharp pain or twinges may be felt along the length of your hamstring or at a specific point on the back of your thigh. 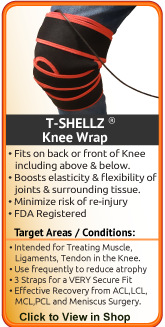 You may experience tenderness and/or muscle spasms in your hamstring muscle during active and resistive movements. Pain often increases when pressure is applied to the injured hamstring muscles. Muscle spasm may also occur in the injured hamstring. Injury can make the muscle and/or nerves behave abnormally and improper contraction signals may be sent to the brain causing the muscle to spasm. Hamstring pulls are frustrating to live with and healing can take a long time because it's difficult to give your leg the rest it needs. This is especially true for runners and other athletes that return to their sport too early. Re-injury is common but it prolongs recovery and may also lead to permanent damage and other conditions.